Undocumented foreign nationals who stayed in US unlawfully may be barred from returning to their families in the United States for as long as 3 to 10 years. 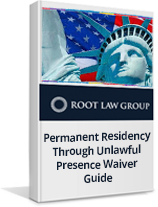 But they may be eligible to receive a waiver to allow them to return to their families in the United States if they can provide sufficient evidence that their qualifying U.S. citizen family member would face “extreme hardship”. This guide will walk you through the whole process step by step.